Be prepared to buy a nearly 30-year old car though. 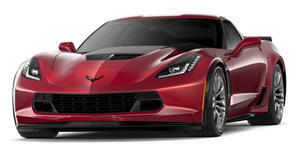 The C7 Corvette ZR-1 is here and will go on sale soon. It won’t be cheap despite being considered a high-performance bargain. Chevrolet requests buyers fork over a minimum of $119,995. Don’t have that kind of dough? You’re not alone, and fortunately there are previous ZR-1 generations out there. In today’s case, there’s this extremely low mileage 1990 C4 Corvette ZR-1 (the first two images I this article) up for sale on Craigslist for $39,990. How many miles, you may be asking? A mere 350. It also comes with all original papers and both tops. Needless to say, it’s been stored in a climate-controlled garage for many years. Yes, we know, not everyone is a fan of the normally underpowered, quality-lacking C4 Corvette. It was in service at a time when GM was at a low point for overall design and quality. Badge engineering ruled the day, and GM paid the price for this years later. But back to this ZR-1: Developed with input from Group Lotus (which GM bought a few years prior), GM had a goal of building the world’s fastest production car. A new V8, the LT5 was developed and was good for 375 hp. This engine, however, was no ordinary GM engine and the Corvette plant in Bowling Green, Kentucky, was unable to handle its special assembly. Mercury Marine, based in Oklahoma, was hired for the task, shipping the completed engines to Bowling Green. Compared to the standard C4, the ZR-1 received body work, interior and wheel updates to set it apart. When the C4 ZR-1 went on sale in 1990 it cost $58,995. Adjusted for inflation, that would be about $110,000 today. And yet this near-perfect 1990 C4 ZR-1, potentially a future highly sought after classic, can be had for just under $40k.